Tired of struggling as a medical sales rep when selling to HCPs and other healthcare decision-makers? Medical sales is difficult and challenging, but the rewards for succeeding are huge, both personally and financially. Learn skills to capture new business, retain & grow your existing customer base. 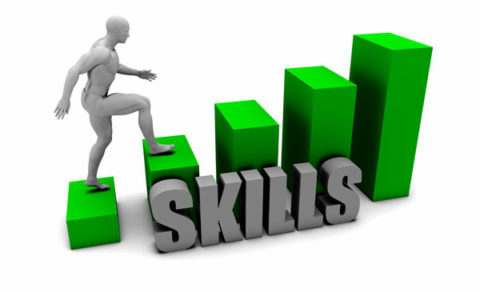 Yes, your skills, abilities and personality have gotten you this far, but how do you get to the next level? Distinguish yourself and your products/services from competition. You can’t best your competition if you sell the same way they do! Plus you’ll have access to a network of medical sales professionals in the moderated forum and also be able to ask specific questions on the monthly conference call or webinar. What's Included in Medical Sales Academy? It doesn’t matter how much sales experience you have–if you’re not prepared to handle the specific issues found in the medical sales environment, you’re toast! 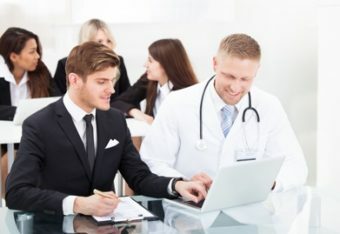 Learn the critical elements of effective medical selling, starting with foundational concepts, such as how healthcare customers think and buy, driving business with strong relationships that are structured on a strategic sales approach, and much more (medical sales reps who have been in the field for years frequently overlook these essentials). You’ll transition into learning a comprehensive medical sales process that will help you engage customers and advance the sale with regularity. Most uncertainties about how to approach customers or respond to their concerns will become a thing of the past. Whereas most sales training courses are generic, Medical Sales Academy addresses the nuances of medical sales. The course follows a blueprint format that you’ll learn over time for maximum retention and usability. You’ll be trained through 42 succinct course units, each one requiring no more than 20 minutes of your time. One course unit is released each day. Each module contains multiple course units that reinforce the learning objectives through video, audio, and written content. You’ll have access to the online learning content up to and including the course unit released that day. 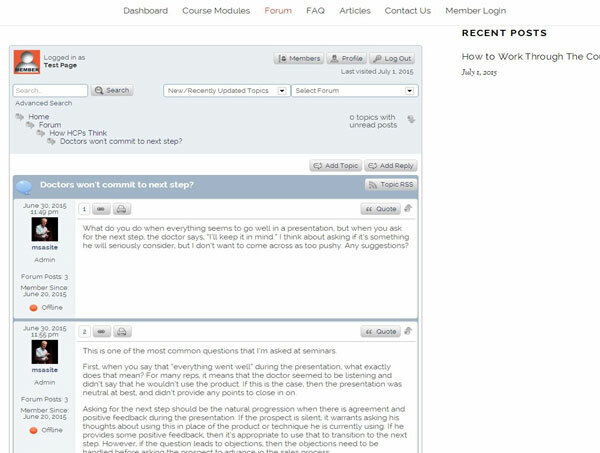 Each module includes a short quiz to test your understanding of important concepts. Over the week that follows, you’ll receive one or more emails to reinforce the information covered in the module to help make sure you understand the material. You’ll have unlimited access to a private forum, moderated by medical sales authority Mace Horoff where you can ask questions, both about the training and what you’re experiencing in your territory. Instead of rushing through a book or quick course on selling that doesn’t leave you much better than before you read it, you’ll build a base of knowledge and skills that will serve you for the rest of your medical sales career. As you may already know, medical sales is often a 911 life. In other words, crises and opportunities arise daily that require immediate attention. This often means that any good intentions medical sales reps have to continue learning about their profession are set aside. Average reps depend on the company or companies they represent to provide continuing education, whereas those who aspire to the top invest time and money to learn as much as they can on their own. With on-demand access to the course modules and other supporting features, you’re just a click away from refreshing your sales insight or getting help with a situation you’re facing. What is it worth to have that kind of support at your fingertips? Online Course Modules: The course is comprised of modules. Each module focuses on one of the critical elements of medical selling and includes course units comprised of video, audio, and written content. Private Moderated Medical Sales Forum: Moderated means you won’t find people flaming each other and competing companies. The forum is for open discussion with your medical sales colleagues, and moderated by Mace Horoff, an authority with over 33 years experience in healthcare sales. There will always be a place to talk medical sales with others who understand your world and can help you to find answers. Live Monthly Webinars or Conference Calls: Once each month, you’ll join Mace via conference call or webinar for a live training session, followed by Q&A. This is going to be your monthly commitment to ongoing learning and excellence. Worried that your busy schedule will prevent you from attending? Don’t! 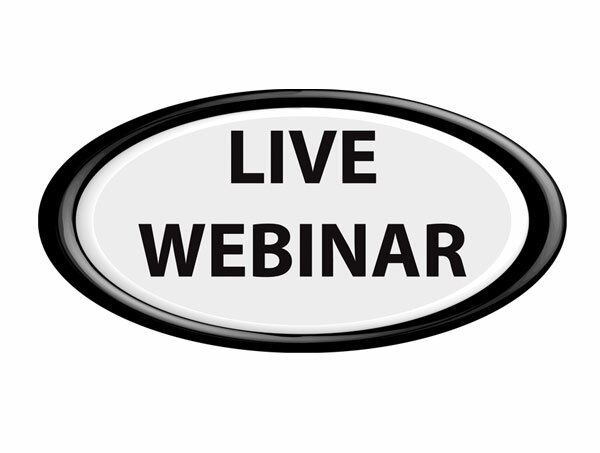 All webinars or calls are recorded for on-demand access whenever you like. You can even submit questions ahead of time via email. Exclusive Private Content: You will have access to articles, podcasts, videos, and cheat sheets that no one else has access to. Your learning includes actionable steps to help you implement the PAIN SONAR medical sales blueprint. Take a deep dive into specialized medical sales skills & strategies. Training is accessible 24/7. Anywhere. Engage and learn through video, audio, and printed content. Choose the appropriate one for your learning situation. Get your questions answered and share your wisdom in the private Medical Sales Forum and live monthly conference calls/webinars. 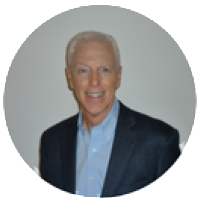 Mace Horoff, a medical sales authority with over 30 years experience in the medical device industry is your guide and facilitator. Mace consults with medical device, pharmaceutical, and other life science companies full-time to drive sales performance. You get access to his content, insight, and expertise for a fraction of what companies spend to have Mace work with their sales teams. 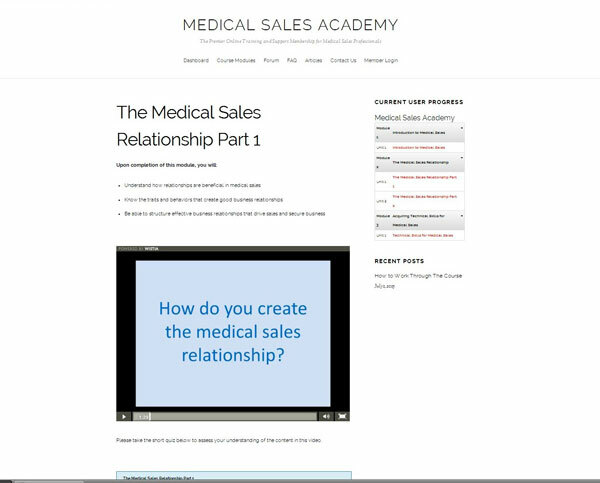 Sell effectively, stay focused, and accelerate your sales with Medical Sales Academy as your guide. See how easily you will interact with mentors, colleagues, and a treasure trove of medical sales resources. Your job is too complex and too difficult to go it alone. 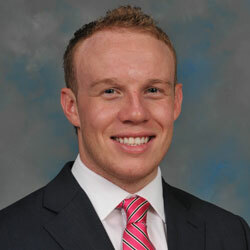 Let us show you how Medical Sales Academy will help you to achieve your goals as a medical sales professional. I want you to know that I just received 'The Rookie of the Year' award from my company at our national sales meeting. I was up agains all the new reps in the entire country and my performance, numbers and professionalism payed off. I didn't even know there was a competition. I give glory to God first and for most for this honor. That being said, I credit you for the vast majority or my skills and abilities through Medical Sales Academy, your podcasts and your webinars. I can't thank you enough! "More Sales and Bigger Paychecks"
"The easy-to-use platform allowed me to advance at my own speed and login when it suited me best. The real life examples throughout made for easy understanding and assisted me with better understanding the methodology. Since completing the course, I have become more confident, competent and in control of my sales process, resulting in more sales and bigger paychecks." "A Career's Worth of Perspective on Medical Sales"
"As a sales rep I’m often faced with challenging situations where the best course of action is not always clear. I feel like my manager or peers may judge me or even misdirect me if I were to reach out to them for advice. The Medical Sales Academy course content, and particularly the moderated forum provide the perfect platform for sharing challenges because Mace provides spot-on fast feedback and brings a career’s worth of perspective on my day-to-day challenges in medical sales." 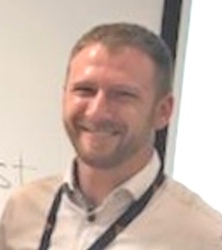 "Medical Sales Academy Is One of The Best Investments for My Career"
"The information in Medical Sales Academy is nothing short of amazing, and the ongoing support Mace offers is truly one of a kind. He has always been there to help me along the way. I can't tell you how valuable that has been. Since I started the course, I have moved onto my dream company-[major Ortho company]. He has helped me significantly with exceptional wisdom from his own personal experience. Medical Sales Academy is worth every penny. I'm learning that the top 1% of sales reps invest in themselves, and I feel that enrolling in MSA is one of the best investments (if not THE BEST) I could have made for my career." "I Attribute All of My New Found Success to MSA, and MSA Alone"
Medical Sales Academy Helped Me Secure a Huge Sole-Source Deal! Enroll now and get started on your path to medical sales success. There is no substitute for medical sales experience and expertise. Don’t gamble with your non-replaceable assets – your territory and accounts. 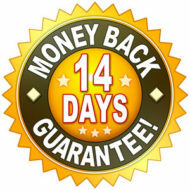 You have absolutely nothing to risk with our no-questions-asked 14-Day money-back guarantee. Winners don’t wait! We’re confident you’re going to love what Medical Sales Academy has to offer you. That’s why we offer a 14-day money back guarantee. Just click on the button below to enroll and get immediate access.